Built for indoor/outdoor Wi-Fi applications. Made from durable ABS material, with features waterproof, weatherproof and lightning protection for long service life in extreme environments, great for use in garden, village, even for outdoor events, swimming pool and party. 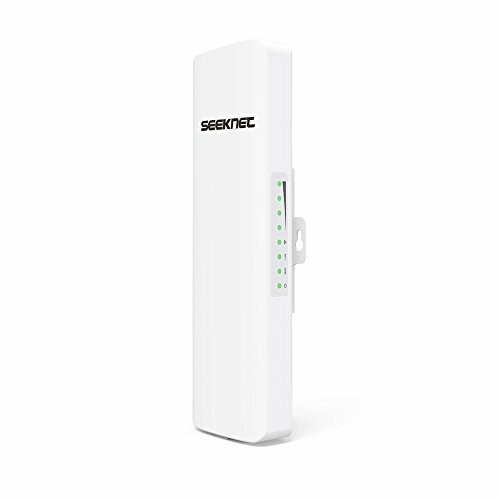 Equipped with two specialized high gain 2*14dBi internal attennas, 2x2 MIMO technology, provides high transmission power and long-range coverage area up to 5KM in outdoor. Passive PoE Power over Ethernet, supports up to 60 meter (200 feet) of flexible deployment and installation. Dual Ethernet Connectivity. If you have any questions about this product by Seeknet, contact us by completing and submitting the form below. If you are looking for a specif part number, please include it with your message.